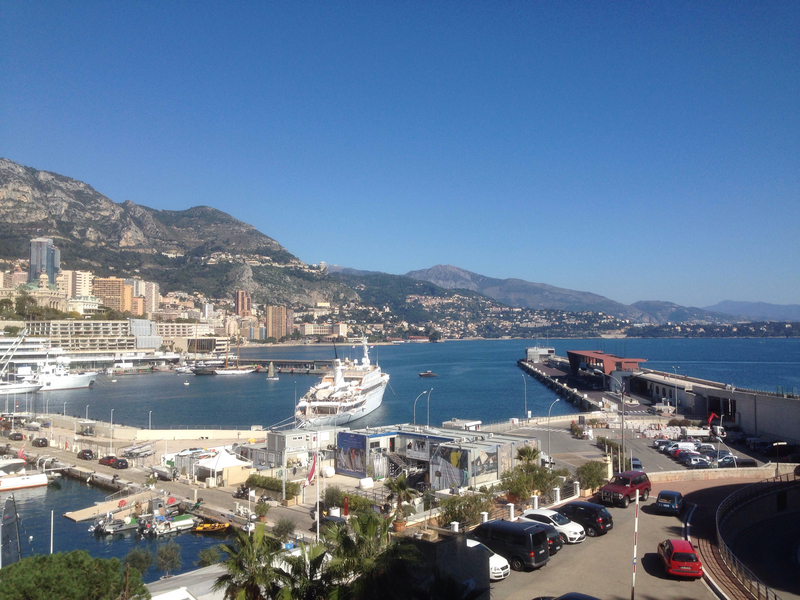 Spring is in the air on the French Riviera – a quick update! We’re currently enjoying a great spell of beautiful weather after a rather mild winter, which bodes well for a fabulous summer. Here’s a view taken from the port of Monaco this morning over Cap Martin and the Italian Riviera, with the crystal clear blue skies that you can only see at this time of the year. In the meantime, I’d like to thank all the readers who have enjoyed my advice for their positive comments, we will probably hit the 200.000 visitor mark on the blog in the coming months and this gives me the energy to keep going on, despite the work it all entails! Plenty of new articles are in the pipeline ahead of the summer, I just need to find the time to write them up, so keep yourselves posted and like the French Riviera Blog Facebook page for the latest updates. This entry was posted in General musings and tagged Azur, Côte d'Azur, Cote, french, french riviera, french riviera blog, frenchriviera, frenchrivierablog, holiday, kevin hin, leisure, mountains, riviera, seaside, travel, vacation. Bookmark the permalink.